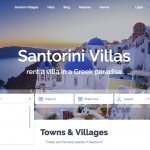 We have just released a major update to our rental dedicated theme. The novelty is a fast loading and user-friendly framework and the mandatory core functionality plugin. We will also add booking by the hour, expanding the possibilities of how to use Wp Rentals theme in your rental business. You will find you rental website easier to build and manage thanks to Redux, an intuitive options framework for WordPress themes and plugins. 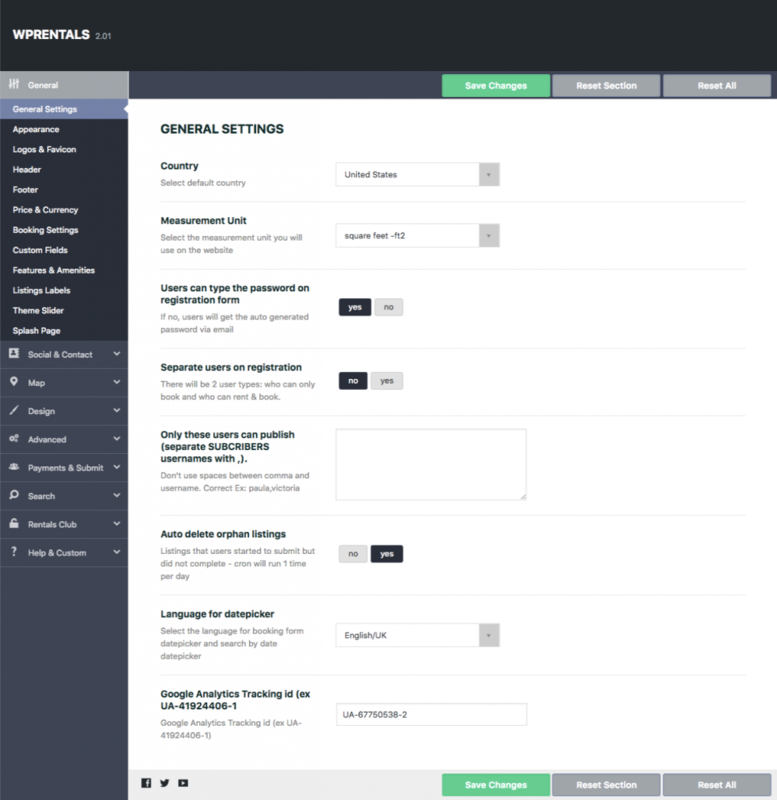 It is designed to simplify website options by providing a streamlined yet extensible framework that supports a large array of preset settings: custom field types, validation/dependent fields and many more. The dashboard design is fully responsive and user-friendly and the transition from the previous theme options framework to Redux is trouble-free. The only options that need to be resaved are features and amenities fields for Search Form and Submit Form. Following Envato market requirements, starting with Wp Rentals 2.01, all these functions are moved to the Theme Core Functionality plugin. 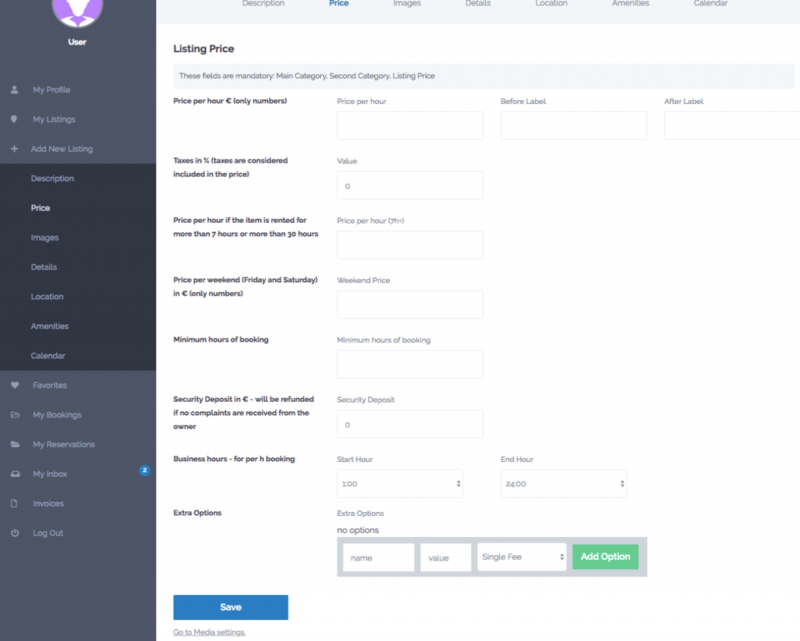 This applies to all rental theme options related to property listing and booking as well as widgets and shortcodes. It is mandatory to activate this plugin in order for the theme functions to work. To install it, simply follow the instructions from the Plugin Installation Notice in the top bar. 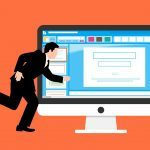 The core plugin will keep all your theme options in one place and will ensure that your site development will run smoothly. It must be noted that after activating Theme Core Functionality plugin, you need to reset your permalinks. Save the ‘post-name’ custom URL structure from the Permalinks Settings area. 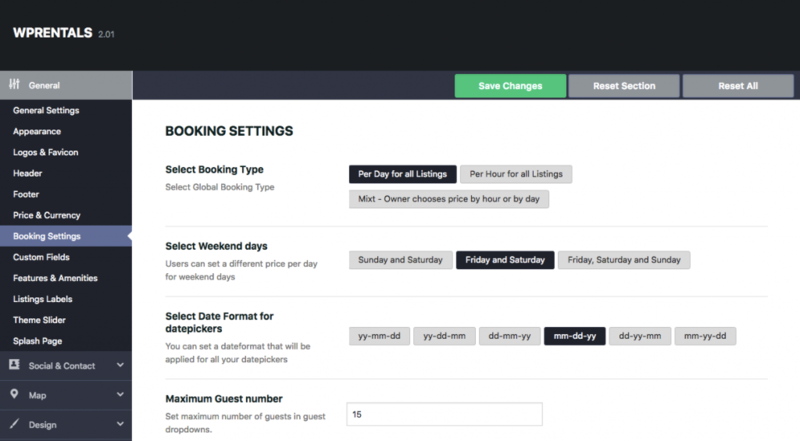 Wp Rentals 2.01 introduces a new option to book property by the hour. This option applies to object booking as well as event venues or office estates that book their properties by the hour. 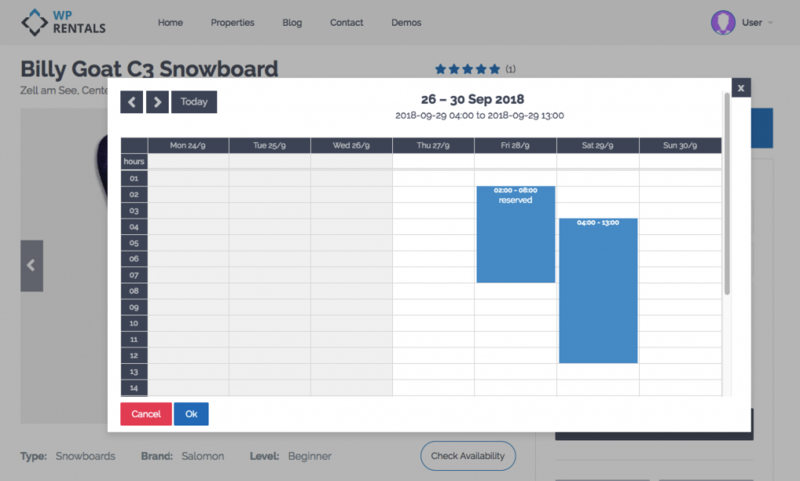 For these types of business, we have developed Ski Rent demo that uses hourly booking options. The changes brought about by the hourly price option are the following: the property page will display a different booking calendar (set for hourly booking support) in the booking form and availability calendar area. Also, the price by night/day becomes price by the hour, including weekend or long term bookings such as 7h+, 30h+. This new option allows you to select business hours meaning the available hours (as opposed to available days) to book in the Hourly Calendar. The property owner has the option to rent the same property by the hour or daily rate. This option is available in owner dashboard – Add/Edit Listing – Price details. The owner can select from a dropdown menu whether to allow booking per hour or per night/day. Wp Rentals 2.01 has a new View Profile button for users with owner profile. The button shows in registered user dashboard – My Profile. When clicked on the button will take you to the public view of the owner profile page.